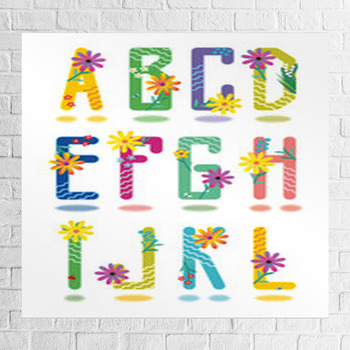 With daisy touched spring striped colors and crazy jumbles of cases and fonts, you don't have to be a child or a typesetter to find this alphabet wall art appealing. 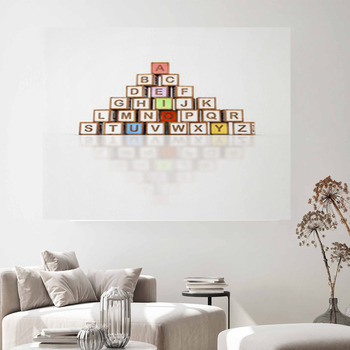 Eat up the whole alphabet in pancake colors on a custom canvas wall. 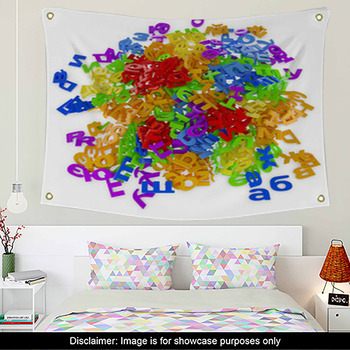 Hang just part of the alphabet on a custom size wall art and let the rest turn up in bits and pieces on wall tapestries. 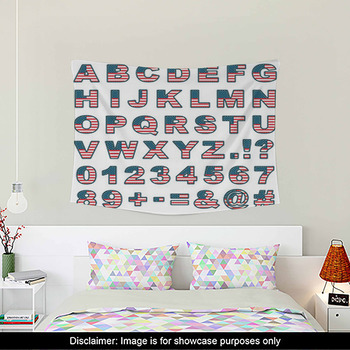 Put the A-B-Cs in the window with striped caterpillars curling on alphabet decals. 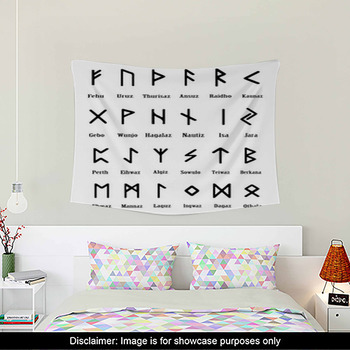 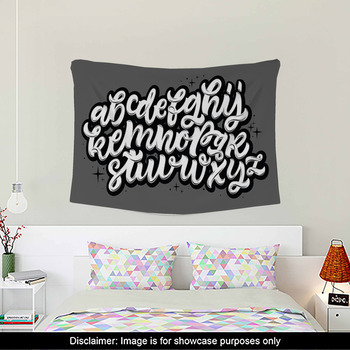 With custom alphabet themed decor, you can put the whole history of human knowledge, belief, and fantasy in your room through your walls or even your floor rugs. 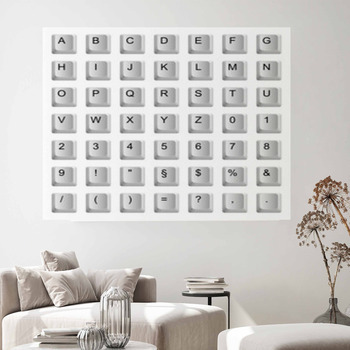 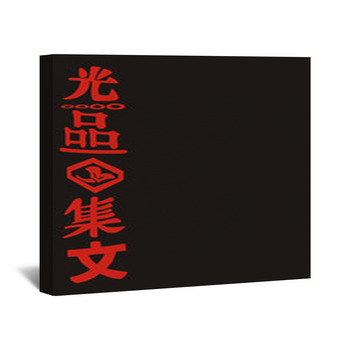 Don't just use our wall art designs, but write your own personalized destiny with letters, symbols, and numbers, in whatever style you want to fashion your fate. 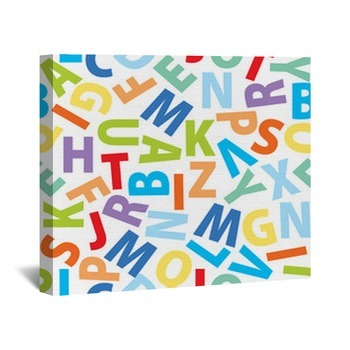 Whether you're inspiring a toddler or an already accomplished writer, put the basics of written language on this alphabet wall art in a bright assortment of colors and styles. 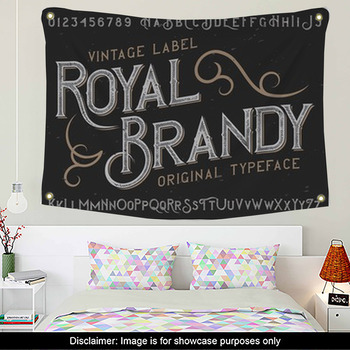 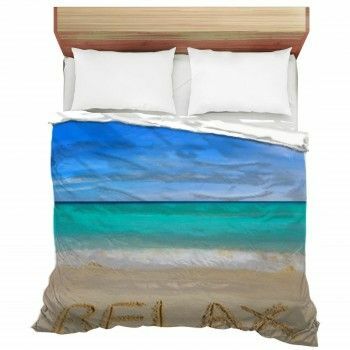 Add your designs to our own to create a lively bit of art perfect for any room in the house.